Don’t Forgot To Teach This When Playing Rondo! This One Key Point Will Change The Way You Coach! As many of you already know I am a believer in the training exercises call “rondos”. Rondos are used to develop players in top clubs all over the world. Barcelona have probably made rondo training more popular than any other club with their quick tiki-taka passing. How do the Barcelona players get so good at playing at such a fast tempo? 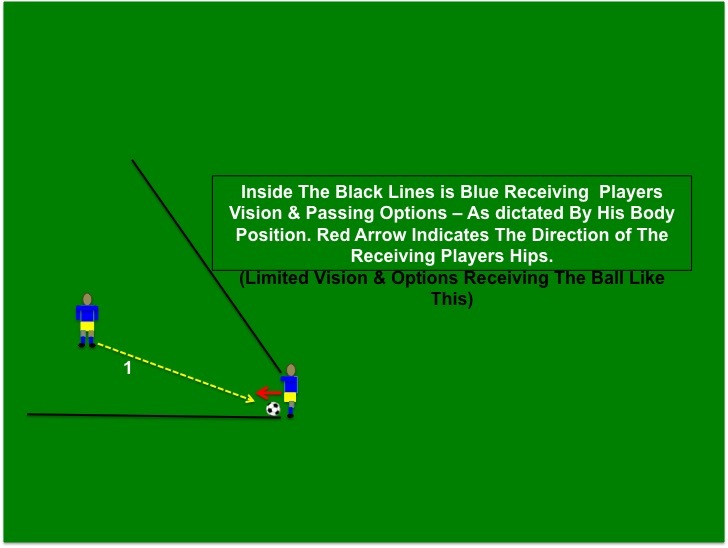 Lets start with the basics: Passing & Receiving. Barcelona has a philosophy in rondo – if the ball is coming from the left, receive with the inside of the right foot away from pressure and pass with the inside of the left away from pressure. When you receive the ball have your hips open so you can play easily across your body to the the other side. Look at diagrams 1,2 & 3 – these pictures show how important it is to receive the ball with your hips open – notice of the players vision increases with a more open hip position. Also, be receiving the ball on the back foot it takes the ball farther away from pressuring defenders. 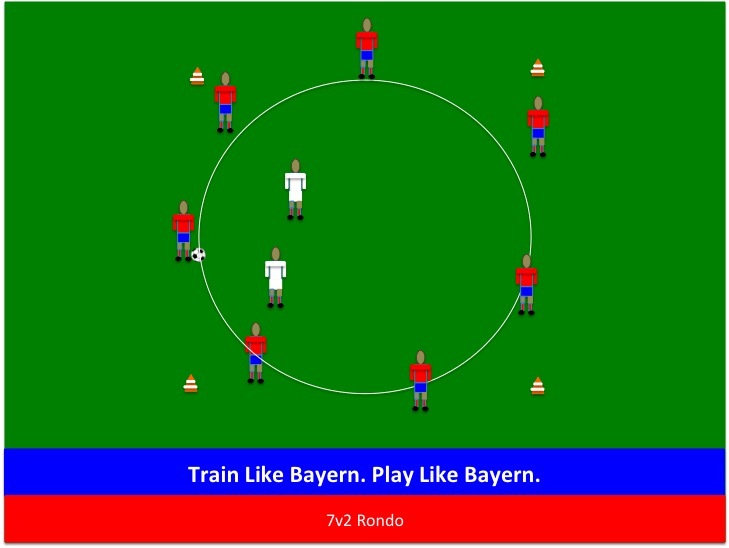 Diagram #4 shows a basic rondo training exercise that Pep Guardiola uses at Bayern Munich. There are many other key points to rondo training but receiving and passing with the inside of the foot – receiving with the right foot if the ball is coming from the left with the hips open and passing with the inside of the left foot is one of the first things you should emphasize with your players. Later in rondo training you can focus on line breaking passes, 1st time bump passes, splitting the defenders, tempo, correct foot passing and much more! Check out my book “The Science of Rondo” on amazon.com for a complete breakdown of rondo training and exercises. The idea of receiving the ball on the back foot 1/2 turned will be the focus of my next post. 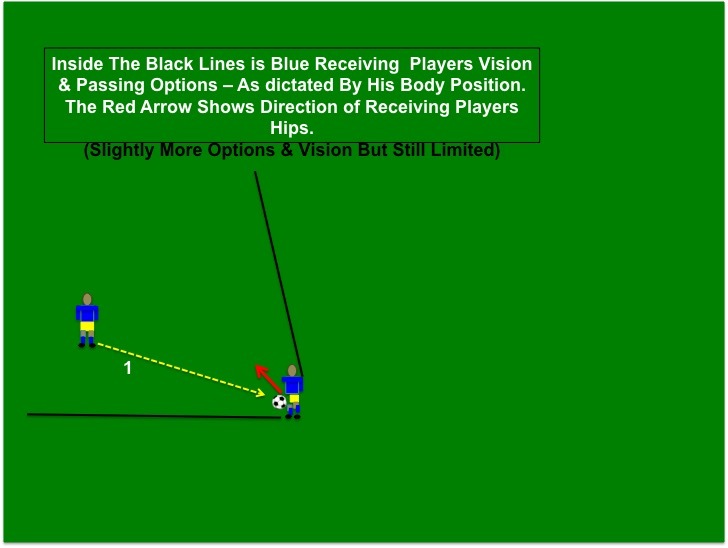 I will look at how receiving the ball using the proper hip angle on the back foot can allow a player to have increased vision and hit more penetrating balls into depth behind the opponents back “4” – it also allows players to keep possession more effectively. Understanding this one topic of receiving the ball on the back foot 1/2 turned with open hips can change the way you train your team. You might find yourself looking at the game in a different way after reading my next post! Next Post Barcelona Dynamic Crossing & Finishing: My New Book ” Train Like Barcelona. Play Like Barcelona” – Coming June 20th!